Real people. Real goals. Real stories. There are millions of success stories. Success happens in so many different ways. Each successful step empowers us to drive ahead, make positive change, and see better results. Something so simple can make such a huge impact with others who may be struggling to break through. These small or large accomplishments all funnel into the same principle. Achievements MUST be rewarded and recognized. You’re moving a mountain, one inch at a time. Whether you’ve created change in your own behavior, or you’ve mentored your team to an increase in production, you’re defining the rules on how to succeed. 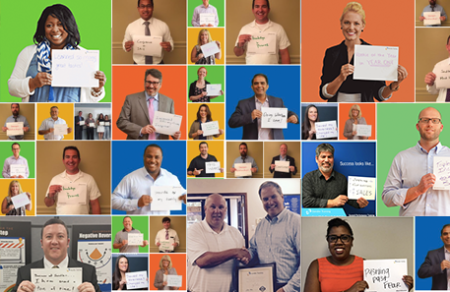 At Sandler, our clients, colleagues, and friends are posting their photo, tweeting #HowToSucceed, and creating status updates on other social profiles with their definition of success. Share your story and continue the conversation. Define your success and share your story with us.